Looking for a Photographer in the Cincinnati Area? Ready to book? Need more info? Schedule a call today. 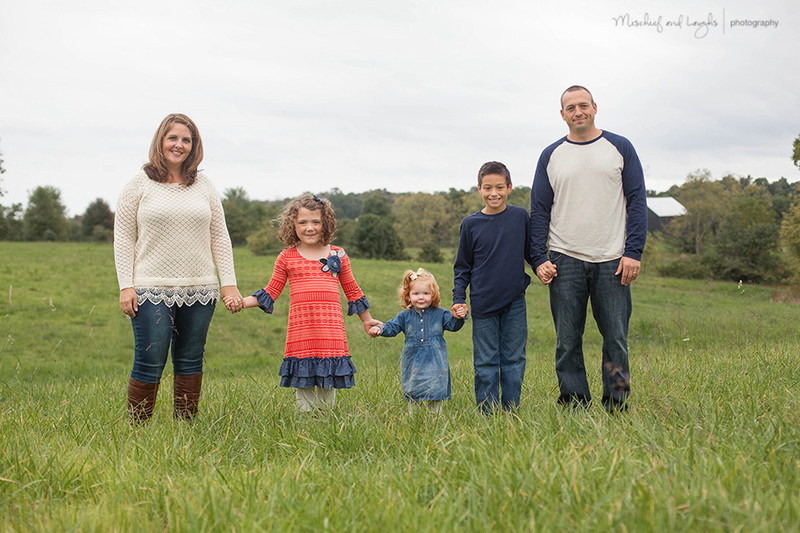 Whether you are looking for a beautiful canvas of your children, or an album full of images that capture all the facets of your family’s personality, Mischief and Laughs Photography offers print and digital product options that are perfect for you. Creative fees are for time during the session, and do not include prints or digital images. Clients typically plan to spend $300 or more after the session on their purchases. Please contact us for product pricing information. use of any studio props, newborn clothing, blankets, maternity gowns, etc. Mischief and Laughs guarantee – you will love your portraits, or we will make it right! After the session, you will see your images and select the perfect heirloom products to fit your home and your life. We specialize in the tangible – most clients choose to purchase books, albums, and wall art. Digital images are also available if you prefer.